The VFS-FP Explosion Proof Vertical Float Switch - Deeter Electronics Ltd. The VFS-FP Explosion Proof Vertical Float Switch - Deeter Electronics Ltd. The Deeter Group is pleased to announce the release of the VFS-FP, our newest standard addition to our range of Explosion Proof Vertical Float Switches. The VFS-FP has been specifically designed for the control and indication of a liquid level whilst in a potentially explosive atmosphere. The VFS-FP can be used in both high temperature and high pressure applications and is suitable for gas and dust environments. 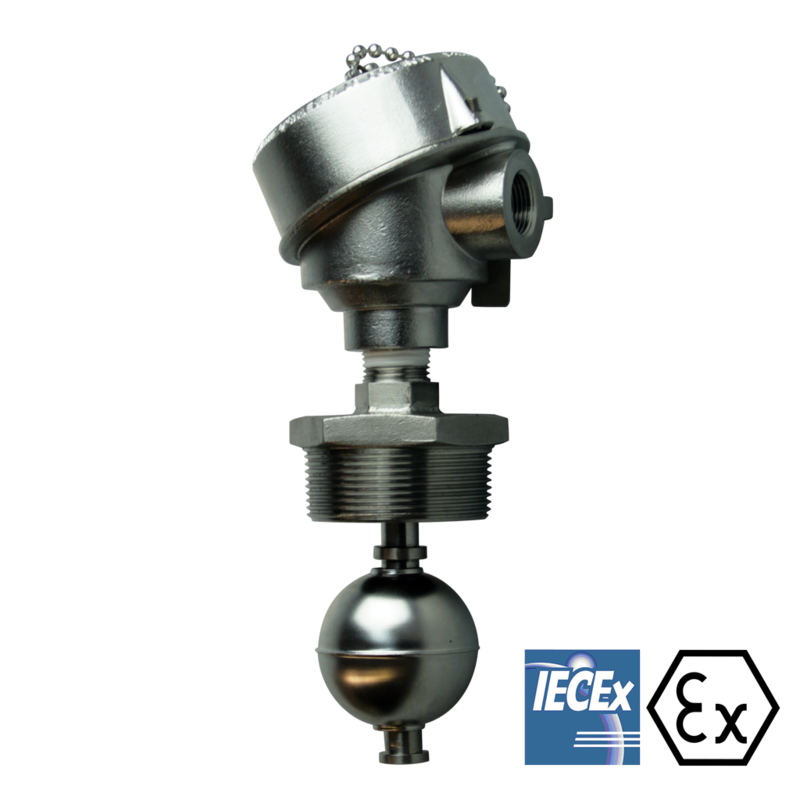 This Explosion Proof Level Sensor is made out of 316L Stainless Steel, with an M20 external mounting thread and a measuring length of 100mm, the sensor also has IP68 Ingress protection. The VFS-FP holds ATEX & IECEx Ex d certification for use in hazardous areas in most regions worldwide. Please note custom options are available. Options include: Probe length, Switch voltage, Switch point quantity, Switch point height, Threaded mounting/seal options, Reed/Hall Effect technology, float sizes, 8 or 12mm sensor tube, cable entry thread. For more information, please view the product page or contact us via email on [email protected] or via phone on +44 (0)1494 566046.